Colorectal cancer is the second most common cancer, and is the third leading cause of cancer-related death in Japan. The majority of these deaths is attributable to liver metastasis. 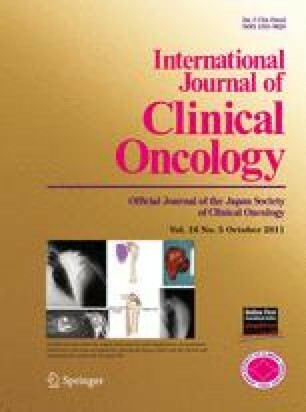 Recent studies have provided increasing evidence that the chemokine–chemokine receptor system is a potential mechanism of tumor metastasis via multiple complementary actions: (a) by promoting cancer cell migration, invasion, survival and angiogenesis; and (b) by recruiting distal stromal cells (i.e., myeloid bone marrow-derived cells) to indirectly facilitate tumor invasion and metastasis. Here, we discuss recent preclinical and clinical data supporting the view that chemokine pathways are potential therapeutic targets for liver metastasis of colorectal cancer. The author would like to thank Hideyo Hirai for discussions and encouragements.